In recent years, the US government has created research agencies for homeland security, intelligence, and energy — all modeled on the Pentagon’s mad-scientist arm, Darpa. Now Russia has gotten the bug, too. Russian industry and defense leaders announced plans last week to bankroll the Russian Foundation for Advanced Research Projects in the Defense Industry. Russia’s newly re-coronated president, Vladimir Putin, has already sent a bill to parliament to authorize the agency, which will be tasked with keeping track of projects that “can ensure Russian superiority in defense technology,” according to news service RIA Novosti. One possible location is near the Gromov Flight Research Institute — an experimental aircraft test base — to Moscow’s southeast. The future site, though, may also resemble the Skolkovo Innovation Center, a sort of Silicon Valley for Russia’s high-tech companies located on the city’s opposite end. But instead of focusing on civilian IT and biotech like at Skolkovo, the companies near Gromov would take charge of “all high-risk and fundamental research projects in the military-industrial complex,” Dmitry Rogozin, chief of Russia’s defense industry, said. 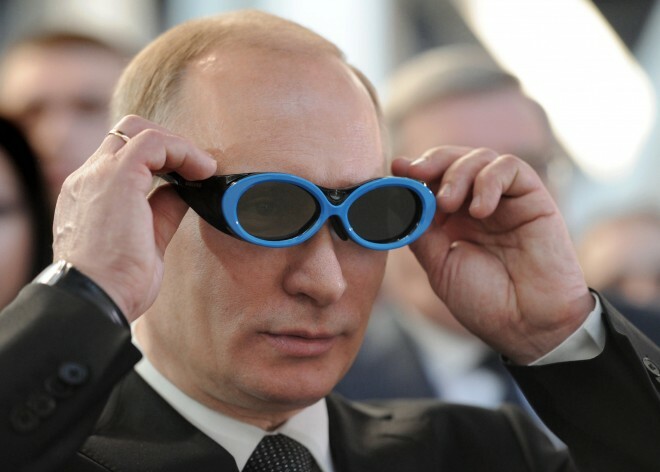 Basically, Russia wants to modernize, and needs its own far-out research department to do it. Its military is getting old and risks becoming dependent on other (read: more advanced) countries. It’s also a part of a larger Russian push for more military tech. And there’s no telling what projects the agency could come up with. Perhaps the agency, when open for business, can take on the task of controlling our minds and constructing robots that will keep the human brain alive forever. It’s also necessary if Russia is serious about moving forward on plans to build advanced drones and new long-range bombers. Russia has a stealthy new fighter, the PAK FA (or T-50), but it probably doesn’t have the radar, avionics and other advanced technology like the F-22. Russia is interested in making directed energy weapons, like the Pentagon’s Active Denial System, while at the same time being more willing to use them to zap crowds. There are plans to upgrade submarines and stealth-killing radars. There is also competition from China, which is boosting its defense budget and has its own Darpa-like tech programs. China has a stealth fighter of its own: the J-20. China’s navy may not be alarming, but its missiles are increasingly lethal, and Beijing is catching up in space. Another problem is that Russia has traditionally built its military around quantity, not quality. It’s been slow to modernize, and the civilian sector has historically been left out, nor did it compete for contracts. That’s changed, but scattered private firms without oversight can also bog down development. Russia’s missile-defense-dodging Bulava ballistic missile was prone to delays and test failures during development. Officials blamed the hundreds of subcontractors supplying parts, with varying degrees of quality. Russian defense subcontractors are also prone to duplicating work because Russia has no centralized database to track research projects. Still, it won’t be as easy as building a database. The agency comes just as Russia is preparing a major arms build-up after nearly two decades of austerity. That means Darpaski has some catching up to do.